On 16 February 1934 the Commission of Government was sworn in, ending responsible government, and beginning a new chapter in Newfoundland's constitutional history. The Commission consisted of seven persons appointed by the British government. No elections took place, and no legislature was convened, for the next 15 years. Three Commissioners from Britain were given the senior departments that had the greatest relevance to reviving the economy and balancing the government's budget: Natural Resources, Public Utilities, and Finance. Newfoundlanders were appointed as Commissioners for Justice, Public Health and Welfare, and Home Affairs and Education. The governor acted as chairman. Each of the six Commissioners voted upon measures which the governor would sign into law. Governor Sir Gordon Macdonald presides over a meeting of the Commission of Government. From Joseph R. Smallwood, "The Story of Confederation," The Book of Newfoundland. Vol. 3. (St. John's, NL: Newfoundland Book Publishers, ©1967) 7. Print. Newfoundland remained a dominion in name, and continued to be a responsibility of the Dominions Office in London, but its constitution was now similar to those in force in the empire's Crown colonies. Though the Commission was Newfoundland's government, its powers were circumscribed: in practice it needed permission from the Dominions Office for any major policy initiative, including the budget. The Commissioners brought in outside experts to run key departments of government and brought new efficiency and accountability to the administration, but changing the nature of Newfoundland's economy and society was more difficult. The Commission did have a set of recommendations for new industries in the Report of the Royal Commission on Newfoundland (the Amulree Report, 1933), and recognized that it should be preparing the people of Newfoundland and Labrador for the day that responsible government would be resumed. Thus the Commission attempted to reinvigorate and reform the local economy and society through an economic and social agenda. But it had no magic solution to the Great Depression. Despite the significant improvements in public health services and education, for example, the levels of poverty and government relief remained extremely high throughout the 1930s. The Commission sometimes faced opposition from local elites, which made reform difficult if not impossible to implement. For instance, the Commission wanted to eliminate the long-standing "denominational compromise" between the government and the major churches, seeing it as wasteful and inefficient. It could do this within the civil service, where the merit principle became the general rule. But when the Commission attempted to change the denominational education system it faced strong resistance from the churches. It was, in fact, unable to reform the administration of education because of the opposition it faced from powerful factions within Newfoundland society. This case illustrated that while the Commission of Government was nominally designed to give the country a "rest from politics," in practice it was a rest from electoral politics only. The Commissioners did not have to fear losing office in an election, but they learned that if they wanted to achieve anything they had to get the cooperation of those with power and influence in Newfoundland society. When designing legislation or a government program, for instance, the Commission routinely asked the opinion of the churches and the Board of Trade. In this way economic and social elites continued to exercise influence over the state through unofficial channels, and sometimes petitioned the British government directly. In a few instances, groups appealed (without success) to the courts, claiming that the Commission had overstepped its authority. Ordinary people were not consulted, and were unable to attract the attention of British Members of Parliament. As dissatisfaction with the Commission grew, citizens turned to other methods to express their views, and pressure the government for policy changes. Letters to newspapers mobilised public opinion, and petitions circulated. Organized groups of the unemployed took to the streets to protest the lack of work and the low level of relief payments. The business community also became dissatisfied with the Commission, believing that the government had missed the opportunity to build a third paper mill, for example. By the end of the 1930s the Dominions Office was looking for a way to restore some public confidence in the Commission and even considered creating an elected committee to advise on policy. The Commission was well aware that the non-democratic nature of the regime was problematic, and did take some steps itself to keep in touch with public opinion. 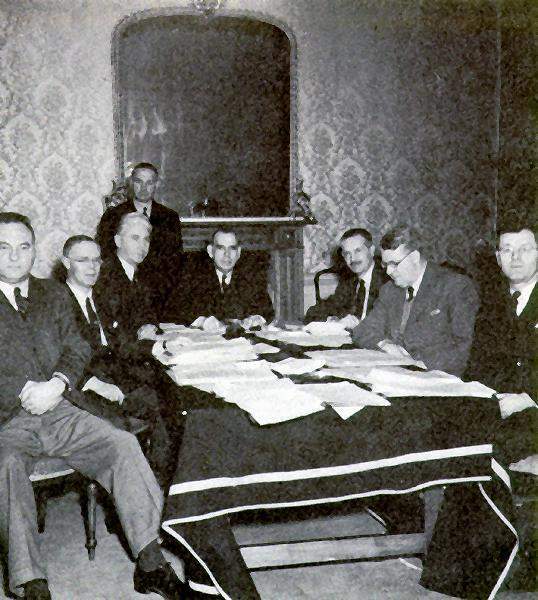 Newfoundlanders were sometimes placed on committees to advise on specific policies or administer regulations, such as the Woods Labour Board or the Newfoundland Fisheries Board. The Newfoundland Ranger Force was formed not only to enforce the law, but also to provide the Commission with information on conditions in rural districts. The creation of a government-owned radio broadcasting corporation grew out of a desire to publicise the work of the Commission, though radio was also seen as a way of educating the public. All the same, the Commission was perceived as being remote from ordinary life. The Commission's efforts to create industries to supplement the fishery were on the whole disappointing. One of the most interesting of these was the Land Settlement Scheme. 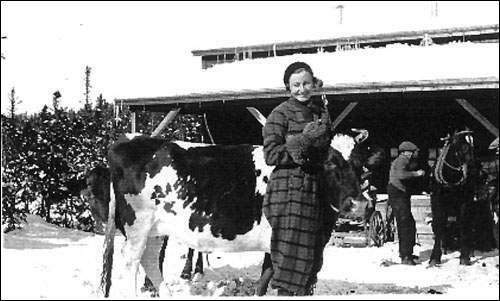 A number of farming communities were formed - Markland was the first - to give work both to the urban unemployed and to impoverished fishing families. In addition, since the Amulree Report had suggested that Newfoundlanders were both overly dependent on the government and too individualistic, it was hoped that the settlers would soon become independent of government support, and learn to cooperate with each other on community projects. However, these communities did not prosper, and cost the Commission much more money than anticipated. The Commission also supported the establishment of cooperatives for similar reasons, but with limited results. Throughout the Land Settlement Scheme, about 365 families were relocated from St. John's and depressed fishing communities, to areas that could potentially be farmed. Markland was the first settlement. How long the Commission would have lasted in normal circumstances is impossible to say. By the late 1930s it had become unpopular, largely because it had failed to live up to Newfoundlanders' unrealistic expectations, and there might well have been changes. But the outbreak of war in 1939 changed everything. Everyone agreed that serious constitutional debate would have to be postponed indefinitely, and that it would be unpatriotic to criticise British government when it was facing a possible German invasion. The Commission was safe for the duration. Newfoundland and Labrador were very important strategically during the Second World War. Military spending and - to a lesser extent - improved prices for exports created a sudden prosperity. Instead of being under constant financial pressure, and dependent on grants from Britain, the Newfoundland government now became financially self-sufficient - and actually lent money to the British government. There was no question, therefore, that the Commission of Government as it existed would disappear after the war ended. The question which began to be debated in the mid-1940s was what its replacement would be. Would the Newfoundland electorate want simply go back to the constitution it had agreed to suspend in 1933? Would it want to continue a possibly reformed Commission system? Or might the voters agree to their country becoming a Canadian province? The last actions of the Commission were designed to ensure that this last option was successful. In 1948, a small majority of Newfoundlanders and Labradorians voted to become Canadians, a decision which became official on 31 March, 1949. Assessments of the Commission have varied. Some historians have applauded the Commission's innovations in providing services to rural Newfoundlanders and Labradorians and its bold social and economic agendas. Others have criticized the Commission for not standing up for Newfoundland's best interest when allowing the United States to lease bases on the island without trade concessions from the U.S. Others have argued the “dictatorship” acted unfairly when it favoured Confederation during the referenda campaigns of 1948. Despite its administrative successes, ultimately the Commission proved itself to be implementing British policy rather than behaving as the government of the people of Newfoundland and Labrador. For other related articles view the Government and Politics Table of Contents Commission of Government 1934-1949 section.